Designed for projects where two socks are knitted at the same time. Small and light weight. 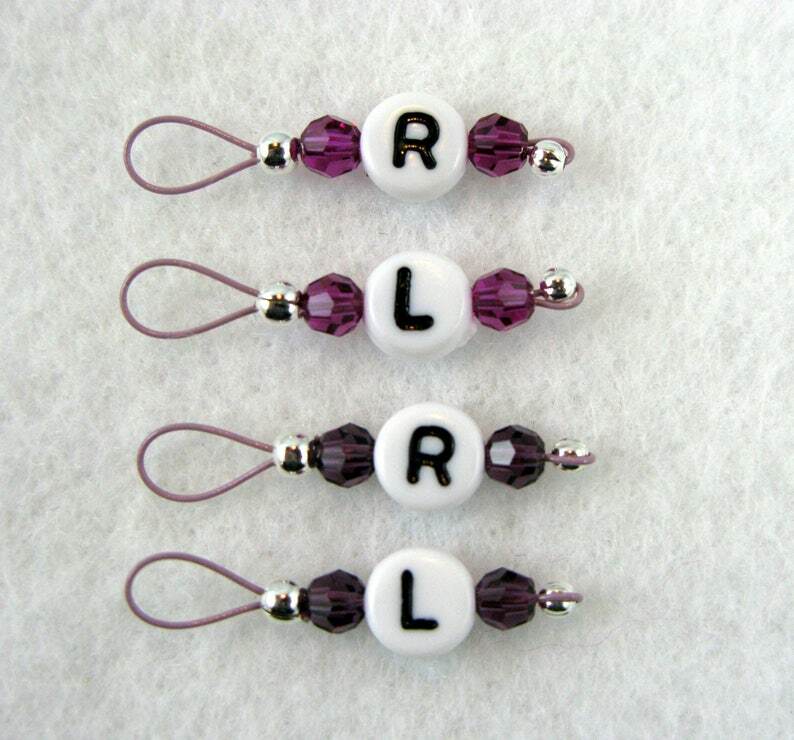 These markers are made from 49 strand blush pink colored wire with 4mm amethyst and fuchsia Swarovski crystals. This set will fit needles up to a size US 5 (3.75mm). As with all of our knitting and crocheting supplies, these markers come with their own handy tin storage container.